Third full length for this great d-beat combo from PDX. There's not much to add about this band. You know what you're about to hear as soon as the needle will touch the wax on your turntable. This is the sound of war and I feel absolutely comfortable with it. 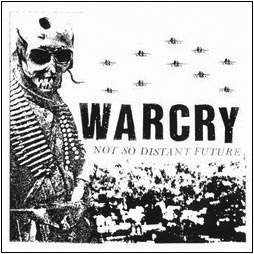 Originally repressed by Feral Ward in 2008, here is the first official European repress.